Looking for somewhere to live in Coventry as a tenant that doesn’t require a huge budget? Whether you are a student looking for some affordable accommodation to share or just looking for a new home on a smaller budget, there is somewhere for everyone. Not all landlords are asking for unattainable prices. Take a look at four of the cheapest places to live in Coventry as well as what each has to offer you. This area of Coventry is around 1.96 square miles, with a population of over 30,000. Making it one of the smaller postcodes the city has to offer. Although it does have one of the highest average rental prices, the space is split into 4 sections with housing spaced out within that varies in price. With some of them offering very affordable rental prices. However the low prices do not mean you skimp out on things to do in the area. Within this postcode there are plenty of places to visit such as the Coventry Transport Museum, St Mary’s Guildhall and Escape Reality escape rooms. So whatever you enjoy doing, there is something to entertain everyone. With a population of over 60000, the CV2 postcode is a well populated part of Coventry. The five sectors within it, much like CV1 vary in price. But it does offer some of the cheapest rental accommodation if you look in the right places. The postcode includes the University Hospital within its boundaries as well as the Coventry Music museum. There are plenty of places to go shopping, with multiple towns and sets of high street stores. With amenities always close by, you will never be left too far away from anything you need. Covering a huge 13.41 square miles, with a population of 60000, this postcode is one of the largest and not very crowded. A huge part of Coventry that has six different sectors within it. The postcode as a whole sits between the boundaries of both the West Midlands and Warwickshire, offering easy access to many other large cities. Within the space you can find the Midland Air Museum, the Brandon Marsh Nature Reserve, the War Memorial Park and Electric Railway Museum. Providing you with plenty of places to visit near to home when you have spare time. A more modest part of the city, the CV6 postcode sits at around 7.77 square miles, with a huge 7 sectors within it. Offering some of the cheapest housing to be found in the city, it does have quite a high population of over 86500 people. The boundaries hold with them Coventry, Hawkesbury, Keresley, Newlands and Neals Geen. Although this is a smaller part of Coventry, it is larger than postcodes such as CV1. The space is also home to the popular Ricoh Arena, where many events take place throughout the year. There are plenty of places to live in Coventry that don’t require a high price tag. Renting can be affordable when looking at the right places. Remember to look around any area that you are interested in for more affordable estates that suit your needs. 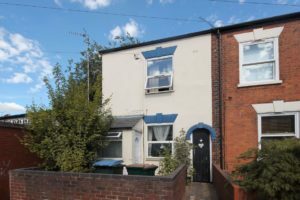 Find properties to rent in Coventry.